This is a great choice for first-time visitors to Osaka. Kickstart your trip by going on an action-packed tour with a local guide. It’s a great way to get your bearings and to learn about the local transport system without worrying about getting lost. As it’s a private tour, the itinerary is personalized based on your requirements. Your guide will be happy to answer questions and give top tips about where to find the best food. 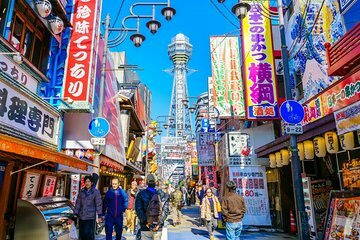 Learn about Osaka’s cultural practices, its culinary scene, and its most loved attractions.